The primary forms of promoting Beijing Opera are stage performances, lectures, and publications. These are one-way conversations, lacking any interaction between different stakeholders. These make Beijing Opera monotonous, unattractive, and lack sustainable cultural heritage. 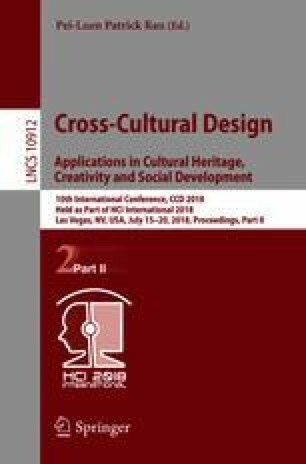 This study identified the challenges of Beijing Opera development through interview and desk research. It utilizes user research to identify different groups of people’s attitudes towards Beijing Opera culture. Costumers analysis illustrates three groups: the public, amateurs and professionals. It insights into the characteristics and needs of different roles and finds opportunities to inherit Beijing Opera culture. It also proposed service called Beijing Opera House. Beijing Opera House (B.O. House) is a brand-new service combined with people’s lifestyle in the future, with the aim of protecting and inheriting the Beijing Opera culture. The service popularizes basic knowledge of Beijing Opera to the public through digital interactive games, promotes different groups communication, organizes amateurs and professionals to perform Beijing Opera together. People could also interact with each other through the Network Platform of B.O. House to upload works, perform, access professional guidance, and manage personal information. It is a service design making three different kinds of people, public, amateur, and professional, communicate with each other and gradually improve their interest’s levels of Beijing Opera, and building a benign culture atmosphere to provide a sustainable development of Beijing Opera.